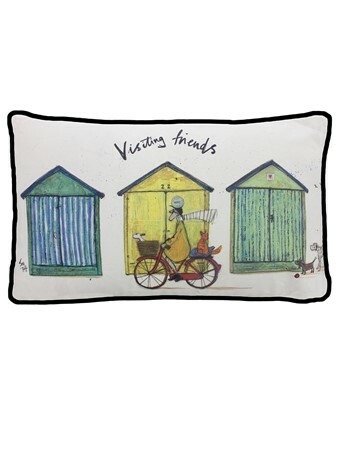 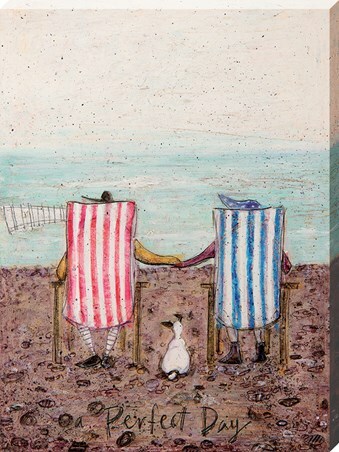 Enjoy the works of the Brighton based artist, Sam Toft, with her fabulous collections featuring the much loved Ernest and Violet Mustard. 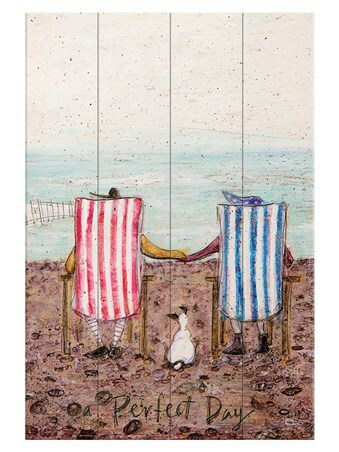 Always depicted in sentimental scenes, enough to warm the coldest of hearts, Toft's works explore the romance of the Mustard family. 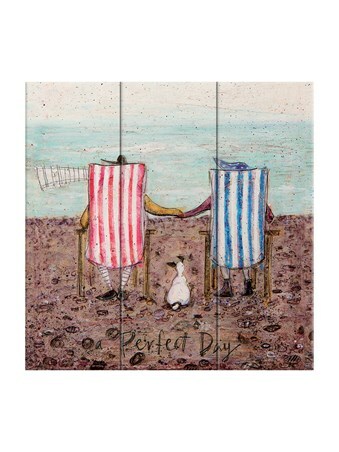 Taking a moment to soak up the last of the summer sun, this loving couple hold hands, whilst their pet pooch Doris waits patiently in the middle of the stripy deckchairs. 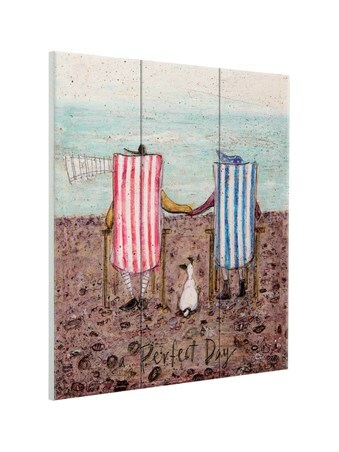 Take a piece of the seaside home and enjoy 'A Perfect Day' whenever you glance at this charming wooden print. 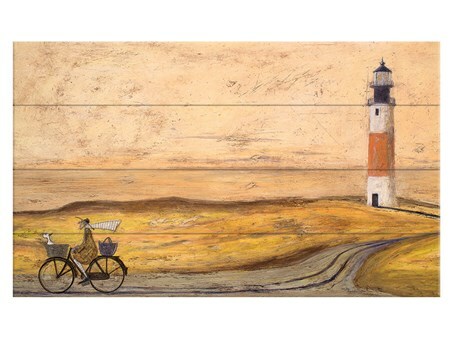 High quality, framed A Perfect Day, Sam Toft wooden wall art with a bespoke frame by our custom framing service.